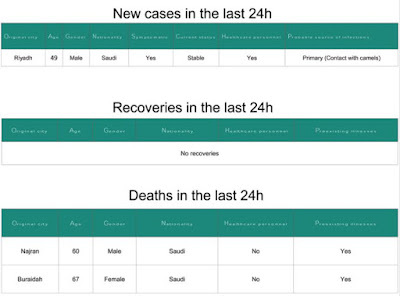 The Saudi MOH has announced one new MERS case today, a 49 y.o. 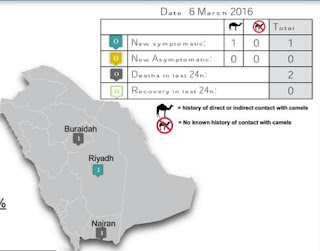 male from Riyadh listed as a Primary (camel contact) case. Two deaths among previously reported cases are also announced, including the 2nd death out of Buraidah this week, which has reported 5 recent cases. 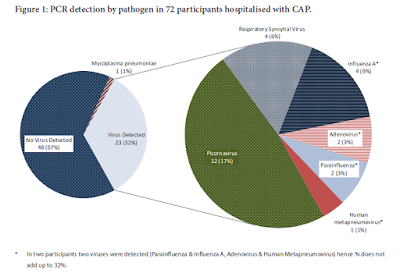 Saudi Arabia has reported 19 new MERS cases in the past two weeks, with Riyadh and Buraidah reporting the bulk of those cases.